RootsTech 2019 will be held in February 27-March 2, 2019 at the Salt Palace Convention Center in Salt Lake City, Utah. RootsTech 2020 will be held on February 26–29, 2020 at the Salt Palace Convention Center in Salt Lake City, Utah. RootsTech 2021 will be held on February 3–6, 2021 at the Salt Palace Convention Center in Salt Lake City, Utah. RootsTech 2022 will be held on March 9–12, 2022 at the Salt Palace Convention Center in Salt Lake City, Utah. RootsTech 2023 will be held on March 1–4, 2023 at the Salt Palace Convention Center in Salt Lake City, Utah. How do I become a RootsTech exhibitor? To be an exhibitor click here. For information, including pricing, email us at exhibitor@rootstech.org. How do I become a RootsTech sponsor? Sponsorship opportunities are available for evening events, keynote sessions, tech lounges, presentation tracks, and more. For more information on RootsTech 2018 sponsorship opportunities, please email us at exhibitor@rootstech.org. How is FamilySearch affiliated with RootsTech? FamilySearch International is the hosting organization of RootsTech. What time will exhibitors be able to set up and tear down? Set up for exhibitors begins on Tuesday, February 27, 2018 at 8 a.m. and ends at 6 p.m. MST. Set up on Wednesday, February 27 begins at 8 a.m. and ends at 4:30 p.m. MST. The Expo Hall will open later that evening from 6-8 p.m. MST. When will the mobile app go live? The RootsTech app is available for download on iOS here and on Android here. Will sessions of the conference be streamed online? Yes. Similar to past years, we will stream several sessions of the conference live on our website. Once the conference is over, recordings of these sessions will be posted on our website for a limited time (generally until the next RootsTech conference). Will you make streaming sessions available in other languages? At this time, we don't have plans to make streaming sessions available in other languages on the RootsTech website. Are streaming sessions available for download? No, they are available for a limited time to view as a recording on the RootsTech website. Are there activities for youth at RootsTech? Young people (ages 8+) are always invited to RootsTech but must be accompanied by an adult. Registration is required and should be completed by a parent or guardian. All children and youth should be accompanied by an adult while at RootsTech. What is Family Discovery Day? There will be classes, activities, and a devotional for Latter-day Saint families (ages 8+) offered at RootsTech. Registration is required and should be completed by a parent or guardian. All children and youth should be accompanied by an adult while at RootsTech. Learn more. Are children allowed at RootsTech? RootsTech is a paid, professional conference; therefore, we ask that children under 8 not attend RootsTech. 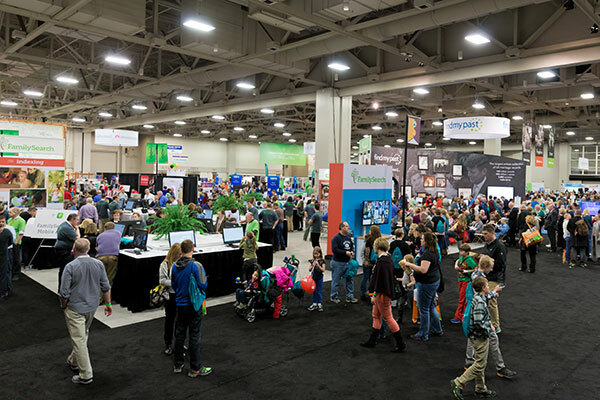 All children 8 years of age and older need to be registered to attend RootsTech, either as a paid attendee or for the free Family Discovery Day on Saturday. No strollers are permitted in the Salt Palace Convention Center. A limited number of rooms have been held at nearby hotels for RootsTech attendees at special rates. Please visit the hotels page for more information and contact the hotel directly for room reservations. Further assistance can be obtained by visiting www.visitsaltlake.com. Do you offer translation services at RootsTech? With the exception of American Sign Language (ASL), we do not offer translation services at RootsTech. To request ASL interpretation, email info@rootstech.org no later than January 24, 2019, with the list of classes you want to attend. 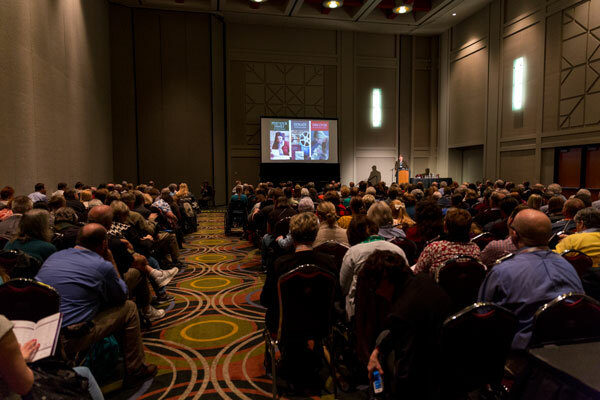 What help is available for international attendees to come to RootsTech? If you are an international attendee attempting to secure a visa for travel, you will need to register for the RootsTech conference by purchasing a RootsTech pass. Registering for a one-day, Getting Started, or Family Discovery Day pass will not qualify for a visa. Once your registration has been confirmed and paid for, an invoice will be sent to the email you used to register. Submit this invoice with your nonimmigrant Visa application. Beyond the invoice, RootsTech does not provide any additional letters, emails, or communication endorsing international attendees or providing assistance with visa or passport requests. Please contact your local US Embassy or Consulate to apply for a Nonimmigrant Visa. In addition to the conference fees, you will need to fund any travel, food, and lodging expenses while in the United States. What is the RootsTech Code of Conduct policy? Read the RootsTech 2018 Code of Conduct here. RootsTech happens at the Salt Palace Convention Center in downtown Salt Lake City, Utah. Are there food options available at the Salt Palace? Yes, a number of food options are available within the Salt Palace Convention Center. In the main hallways of the lower concourse, you’ll find food carts that sell anything from beverages to sandwiches. During lunch hours, the Salt Palace contracts with Utah Food Services to offer a number of options including salads, burritos, and pastas. Will there be internet connection at the Salt Palace? Yes, free access to the Internet will be available during the conference. There is limited access, however, and several thousand attendees may try to access the Internet at the same time, so you may experience slow connectivity. Several parking plazas are located near the Salt Palace and in downtown Salt Lake City. Visit rideuta.com for public transportation options. 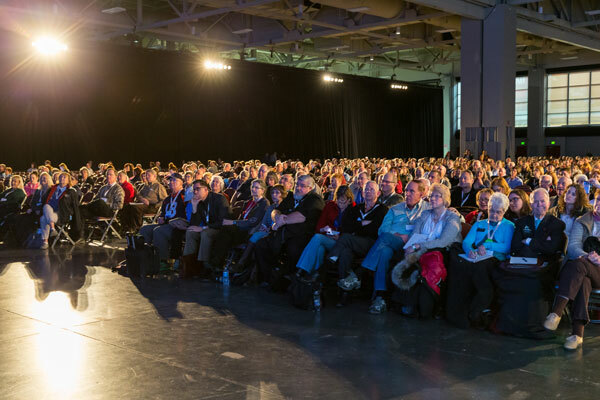 What is the cost to attend RootsTech? Click here to see the pass-comparison chart. You can register by clicking the Register button on the home page of the website. If you need assistance, please email info@rootstech.org. My spouse and I share an email address. Why can’t I use one email for both of us? Our registration system requires each user to have a unique email address as a way to identify you specifically. If you need an email address for your spouse, you can create a free email address using services like Gmail, Hotmail, or Yahoo. How do I add a discount code to an existing registration? Email us at info@rootstech.org with your registration confirmation number and your discount code. We'll apply the code and issue a refund if the code qualifies for one. A discount is available for students who are registered at an accredited school (high school, college, university, or online program) and have some form of valid credentials proving their status as a student (such as student ID, registration letter, valid class schedule, etc.). School faculty and staff do not qualify for the student discount. Email your documentation to info@rootstech.org to receive the discount. Can I pay with a check rather than a credit card? All registration is handled online, and only credit card and debit card payments are accepted. We accept Visa, American Express, MasterCard, and Discover. What is the cancellation or transfer policy? If you cancel your paid registration before 11:59 p.m. November 15, 2018, you will receive a refund equal to the cost of your paid registration and all prepurchased items (including but not limited to lunches, labs, evening events, prepaid bags, etc.) less a $35 processing fee. If you cancel your paid registration between 12:00 a.m. November 17, 2018, through 11:59 p.m. January 15, 2019, you will receive a refund equal to 50% of the cost of your paid registration and all prepurchased items (including but not limited to lunches, labs, evening events, prepaid bags, etc.). There will be no refunds for cancellations completed after 12:00 a.m. January 16, 2019. If you are unable to attend but would like to transfer your registration to a friend, please contact us at info@rootstech.org. Registration transfer requests must be received before 12:00 a.m. January 16, 2019. After this time, transfer requests cannot be accommodated. There is a $35 fee to transfer your registration. The computer labs and sponsored lunches I want to attend are full. Do you offer a wait list? We don't offer a wait list or seating to audit the class. Due to limited seating, registration is required to attend a computer lab. There is a $19 fee for each lab to cover the cost of equipment, software, and an internet connection. Computer labs are a popular activity at RootsTech and tend to fill up fast. Download the mobile app (Coming Soon) to create a customized schedule. Creating a schedule does not reserve or hold a seat in the scheduled classes. It is only for your convenience in navigating your RootsTech experience. How can I access syllabus materials from the conference? The syllabus is available only through our mobile app for Apple or Android. There is not a desktop version. When is check-in at the Salt Palace? We recommend checking in on Tuesday to avoid long lines. What do I bring to check in? When you arrive to check in, you will need to remember the email address and password you used when you purchased the registration pass.